Kansas State University has been awarded a federal grant to help get more eligible children enrolled in Medicaid and the Children’s Health Insurance Program, or CHIP. The “Connecting Kids to Coverage” grant is almost a million dollars. 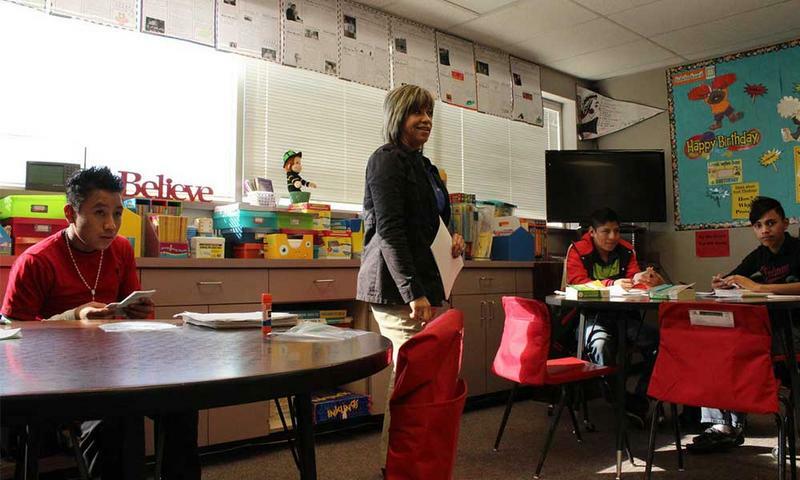 K-State plans to target Latino and immigrant children in four rural counties in the state. They’ll use bilingual ambassadors to help enroll kids at schools and health centers. The Kansas grant is part of $32 million provided through a recently enacted bill to reauthorize Medicaid and CHIP. Kansas had almost 7 percent more kids covered by Medicaid and CHIP last year than in 2014, more than 327,000 altogether. After crossing the border from Mexico, tens of thousands of unaccompanied child immigrants were resettled in the U.S. while they await immigration proceedings. While many young immigrants now live in big cities like Houston and Los Angeles, thousands were placed in rural towns. Reporting for Harvest Public Media, Esther Honig traveled to a rural community in western Kansas, where she found young immigrants struggling for security.